There are many types of “smart” that a person can be. Some people are book smart while others are street smart, music smart, nature smart, math smart, and so on and so forth. There's all sorts of different types of intelligence and when it comes to how much of it someone actually possesses, people are all over the map! Just take a look around and you can easily see this point in action. It plays out all day long and is especially clear when someone completely lacks basic awareness or understanding of even the most basic, simple things. On the other end of the spectrum are those people who are super smart and seem to know something about everything. However, the vast majority of people fall somewhere in the middle between these two extremes. They have solid intellectual capabilities and are considered average by most standards, but they are not geniuses. In fact, while many people claim to be operating on a genius level, few can actually back this assertion up. Geniuses are on a whole other plane in terms of their brains, abilities, wisdom, knowledge, intellect, skills, and more. When it comes down to it, the only way to know for sure how gifted you are in the brains department is with a general knowledge test. By evaluating what you both know and don’t know in a random manner, you can get a sense of where you stand in relation to everyone else. 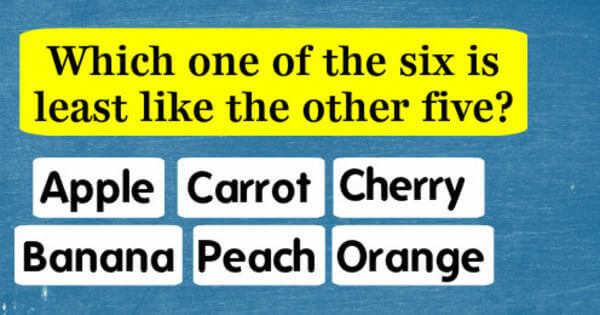 The general knowledge quiz featured here is short, yet comprehensive enough to examine and score how much general intelligence you possess! According to Playbuzz, only those who can get at least 17/20 are smart enough to be called a genius so see what you get and good luck!